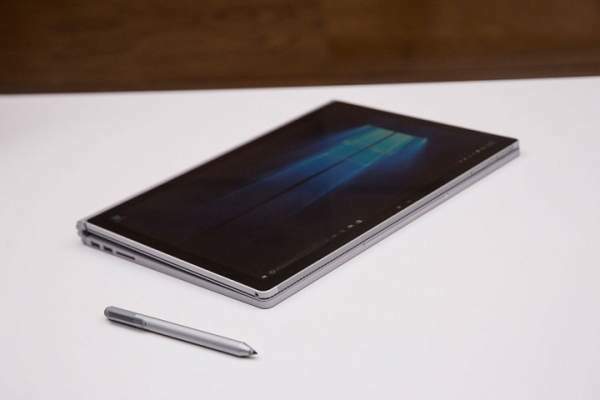 Microsoft Surface Pro 5 Release Date, Price, Specs, Features: October 26 was the important date for the tech freaks. Microsoft disappoints their customers this week. All the technology lovers got disappointed after they got to know that the company has not released the most awaited Surface Pro 5. The company has not launched the device, but the customers are sill very much confident about the release of hybrid laptop/tablet in the early months of next year. Many reports were claiming that the company will definitely launch the device on 26 October and all the specifications told drained by the tag of rumors. Now, reports are coming that the Microsoft will launch the device in the springtime of 2017. Although this news is not official, it can also be classified as a rumor. But new news specs have been released in the market about the upcoming gadget from the tech giant. Surface Pro 5 features a full 4K support with a resolution of 3860 x 2560 pixel display resolution with an aspect ratio of 3:2. Check: Samsung Galaxy Note 8 Specs. The device runs on Intel’s new gen core processor, Kaby Lake. There are some reports which say that the Microsoft is waiting to launch their upcoming gadget because they are waiting for Intel to launch their new processor (Kaby Lake).Kaby Lake is the highly anticipated and latest processor by Intel. Intel’s new processor will make the Microsoft device incredibly powerful. Apart from this, SurfacePro5 will run on Windows 10 Redstone 2. The firm is planning to give SP5 some really important updates which will make the device out of the queue. Microsoft will finally add the USB type-C port in the device. It is also said that the company will also add the feature of a multi-user facility in the laptop. Microsoft will offer RAM ranging from 8 GB to 16 GB in it. For the better gaming and graphics experience, the Microsoft will offer a premium NVIDIA or AMD graphics processing unit (GPU). It is also said that it will launch in the market along with Apple’s MacBook Pro 2016. SP5 and MacBook Pro 2016 are said t dominate the market of hybrid laptops in 2017. All the new features which will come in the laptop will be an answer to the Apple’s latest feature like Touch Bar. Since these are also the rumors. These all specs are still not confirmed. Let us wait for the launch of the device. Stay tuned for more updates and more rumors.